Everyone needs a few Birthday Cards in their stash and this is a perfect card for any recipient. The greeting and cupcake are from the Birthday Cheer Stamp Set with the matching Detailed Birthday Edgelits. 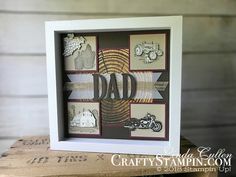 I love the added texture the Subtles Dynamic Textures Impression Embossing Folder adds to the Soft Sea Foam Square background. 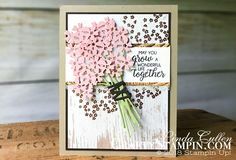 The cupcake is colored with the Petal Pink, Soft Sea Foam, and Balmy Blue Stampin’ Blends. Reserve your Occasions Catalog here.